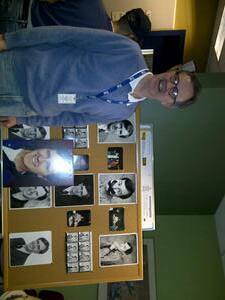 Dave's special last edition of All in a Weekend draws to a close - along with 33 years at the CBC. Colleagues and friends gather 'round. Radio Noon host Bernard St-Laurent tells an infamous story about the early days with Dave. Wiretap's Jonathan Goldstein talks about Dave's coffee-making skills. Former sportscasters Tom Harrington and Rick Cluff call in from Toronto and Vancouver to give Dave a bit of a ribbing. Even Dave's daughter Fiona joins us to talk about her dad. Singer-songwriter Connie Kaldor wraps up Dave's last show with a short but touching song about the Dave listeners have loved.